When you are being fully aware of the world around you – whether it be the sunshine on your face or a blackbird's song – it brings you into a felt sense of the here and now. This state of presence helps to foster peace of mind, deep relaxation, and acceptance that the current moment is always enough. This workshop is for anyone who is curious about mindfulness and our connection to nature. It will include meditation, qigong (integrating physical postures, breathing techniques and focused intention), solo reflection time, sensory awareness and group discussion around an open fire. Cost: £40. Bring and share lunch. Andy is a coach, speaker and facilitator. He hosts nature awareness, leadership, sustainability and mindfulness retreats and workshops, to bring about transformative change. He has trained extensively in these areas with Cambridge University, Schumacher College, The Living Leader Programme and Sussex Wildlife Trust. He works with professionals, businesses, charities, colleges, private clients and children. He also offers his skills internationally, and in 2017 ran a 2 month programme with indigenous communities in Namibia and a 2 week retreat for a "nomadic classroom" in the wilds of Sweden. Previously, he was Executive Director of the Aldersgate Group, working with CEOs, Government Ministers and thought leaders to drive action for a more sustainable world. 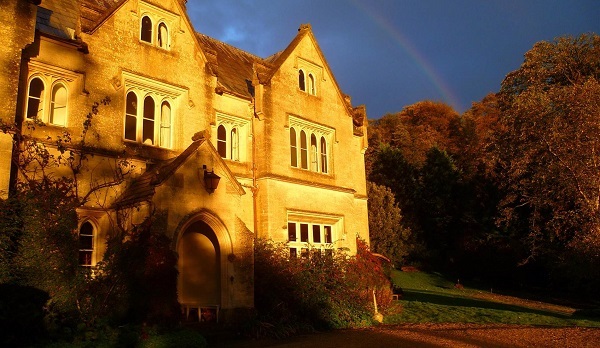 This retreat is a collaboration with Hawkwood College, an educational charity based in Stroud which brings together people and organisations in support of creative endeavour, a flourishing society and a sustainable environment.